THIS VITAMIN DEFICIENCY CAUSES SEVERE HEADACHES AND MIGRAINES! Hormonal Changes – Fluctuations in estrogen in women (and men) can trigger headaches. This occurs before or during a woman’s menstrual cycle. Foods – Foods that are salty (not with sea salt, but highly refined salt) and processed foods are thought to be a cause of migraines, along with skipping meals or fasting. Drinks – Alcohol, specifically high phenolic red wine, along with beverages that are highly caffeinated can trigger migraines. Stress – Stress at work or at home can trigger migraines, especially when dwelling on a stressful situation or if unable to manage stress. Sensory Stimuli – Bright lights, sun glare, loud sounds or unusual smells such as a strong perfume, paint thinner or secondhand smoke can trigger migraines in some people (those who are believed to have multiple chemical sensitivities). Changes in Sleep Patterns – Missing sleep or even getting too much sleep can be a cause of migraines, as well as jet lag. This is associated with a lack of grounding or earthing (a lack of direct skin-to-skin connection to the Earth). Physical Factors – Intense physical exertion including exercise, manual labor or physical activity may trigger migraines usually due to muscle tension believed to be connected with a lack of calcium and/or magnesium in the diet. Environmental Changes – A change of weather or a change in barometric pressure can trigger a migraine. Medication – Oral contraceptives and vasodilators can aggravate migraines. Another migraine trigger that has been recently researched is vitamin deficiency. In a study that involved 52 people diagnosed with migraines, the participants were randomly assigned to receive either vitamin supplements or a placebo for six months. The study concluded that Vitamin B6, Vitamin B12 and folic acid supplements produced a two-fold reduction in migraines over the six-month period. Previous studies have also found that Vitamin B2 (riboflavin) can help to prevent migraine attacks. Another study published in the International Journal of Clinical Practice found that Vitamin D deficiency is related to migraines. 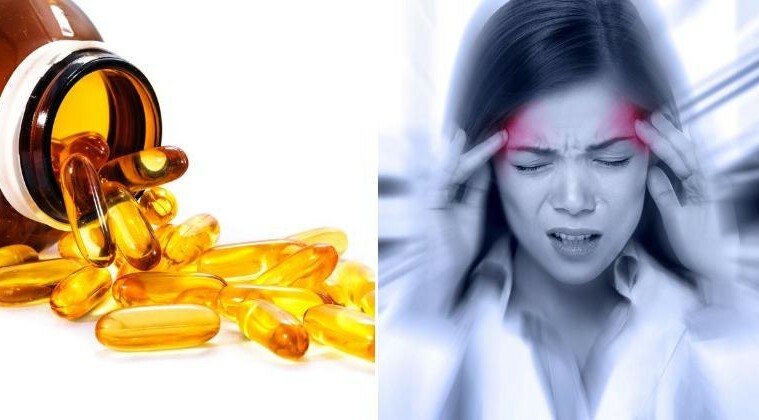 Researchers found that 42% of patients with chronic migraines were deficient in Vitamin D. They concluded that the longer a patient suffered from chronic migraines, the more likely they were to become Vitamin D deficient.